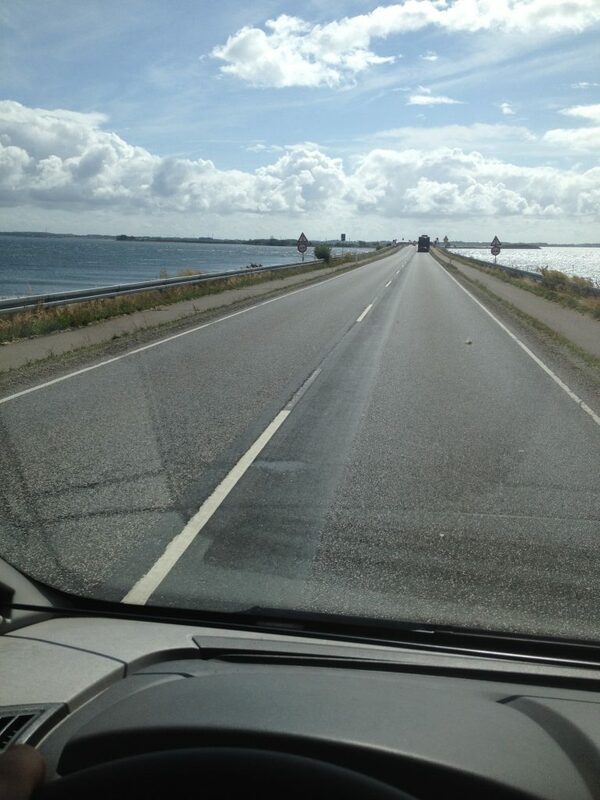 Denmark is just a short distance destination from Germany and yet so different. 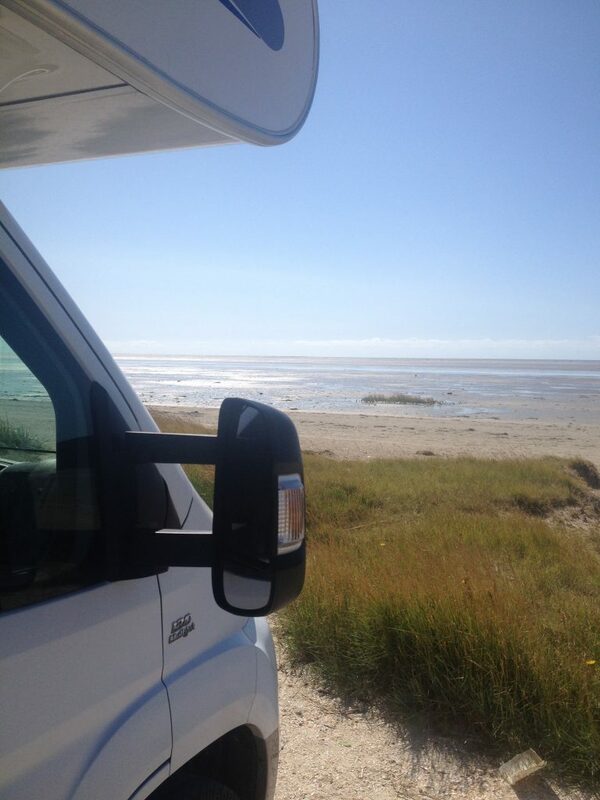 When I just got my RV in 2014 I wanted to go on a longer trip to get used to the vehicle but didn’t want to be too far from home in case something happens. 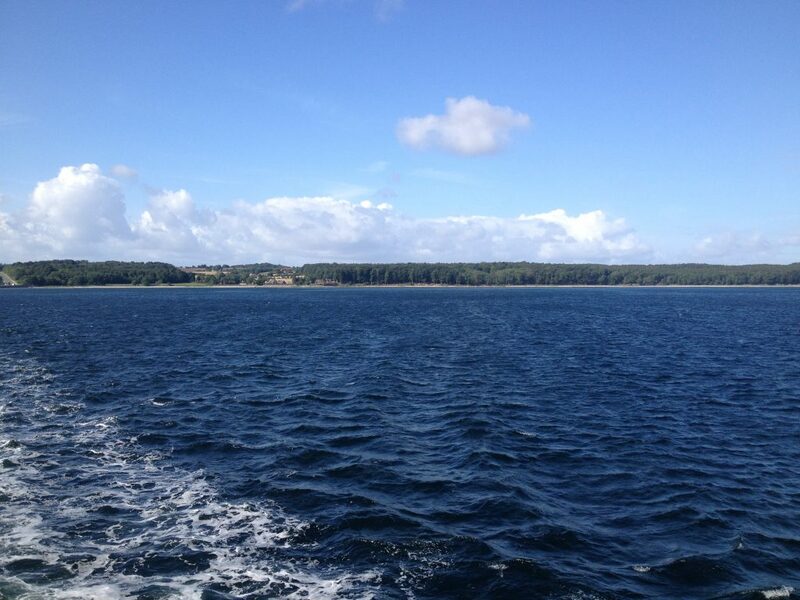 So I picked Denmark with its islands also called as the “Danish South Seas” or Sydfynske Øhav in Danish. 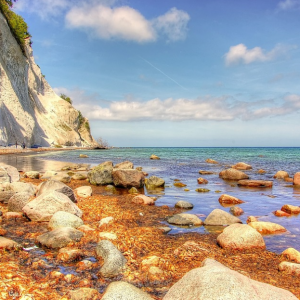 If you have read my blog post about the Northern Coast of Germany and Fehmarn, you know where to start from. 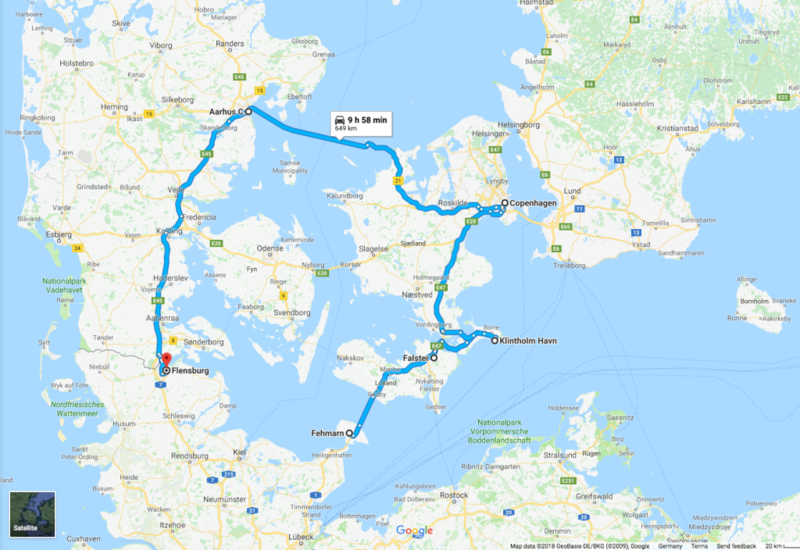 I took the ferry from Fehmarn to Rødby followed by more and more smaller getting ferries and windy bridges throughout the Danish South Sea. 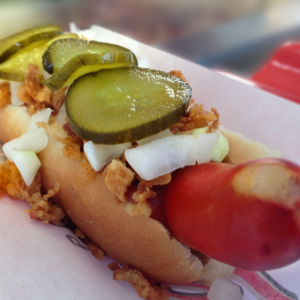 If you are in Denmark you need to try the HotDogs or Rød Pølse as they are called locally. Of course, Fiete and I couldn’t spare to have a couple already right after the border from Germany. 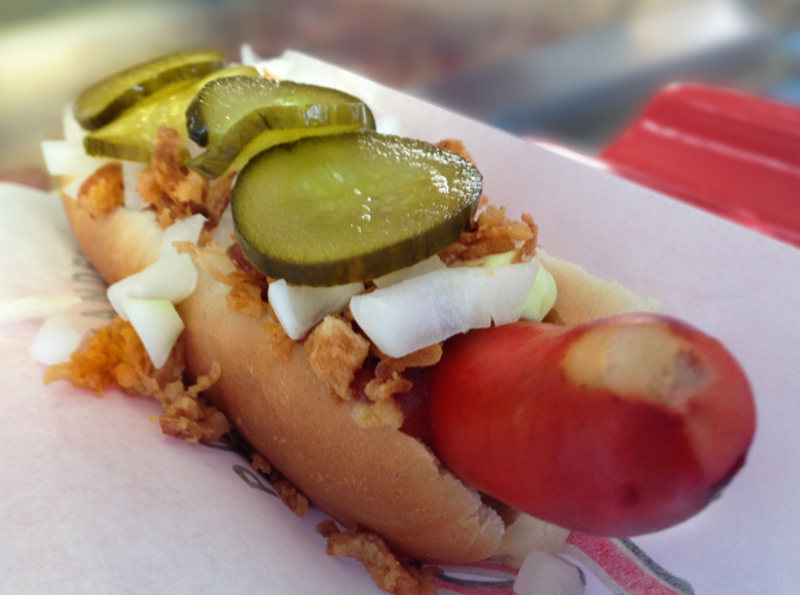 There are HotDog Stands all around and they are definitely a must have on your food list. Check. Yum. Denmark offers very varied landscapes. The Baltic coast is a bit wilder than the West coast. Nature reserves dominate the landscape and is therefore perfect for nature lovers, beach lovers, hikers, cyclists and also birdwatchers. 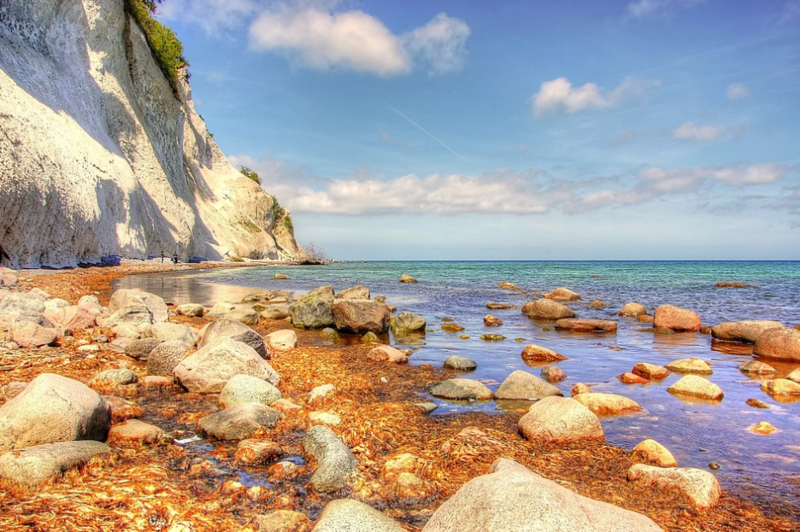 There are also a couple of breathtaking cliffs in Denmark, as is the case in the Møn region. Klintholm Havn is a small seaport located at the easternmost point of the island of Møn. I fell in love with this place because there are breathtaking beaches and mudsands. You feel like being on a loney planet. Fiete and I found a little farm close to the harbor. We literally camped right on the farmer’s meadow surrounded by cows and horses. They were so curious what kind of breed we were that they were standing right infront of the RV door in the morning waiting for us to come out. This quiet and peaceful was surely one of a kind. Copenhagen or Københaven as Capital of Denmark is worth a visit. 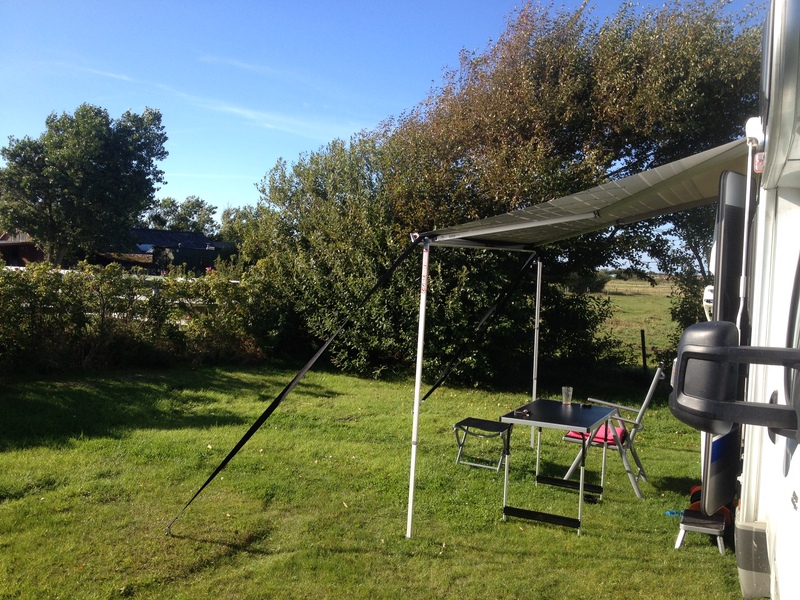 Fiete and I stayed at the city campground which is very convenient as you are close to the center to explore all the important sightseeing spots. 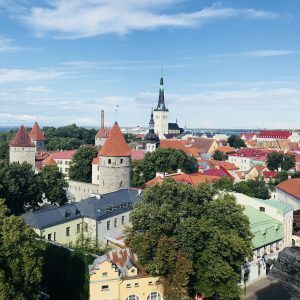 We decided to run the full tourist program including Hop on – Hop -off bus tour. At Langelinje Pier you will find one of Copenhagen’s most famous tourist attractions: The Little Mermaid. 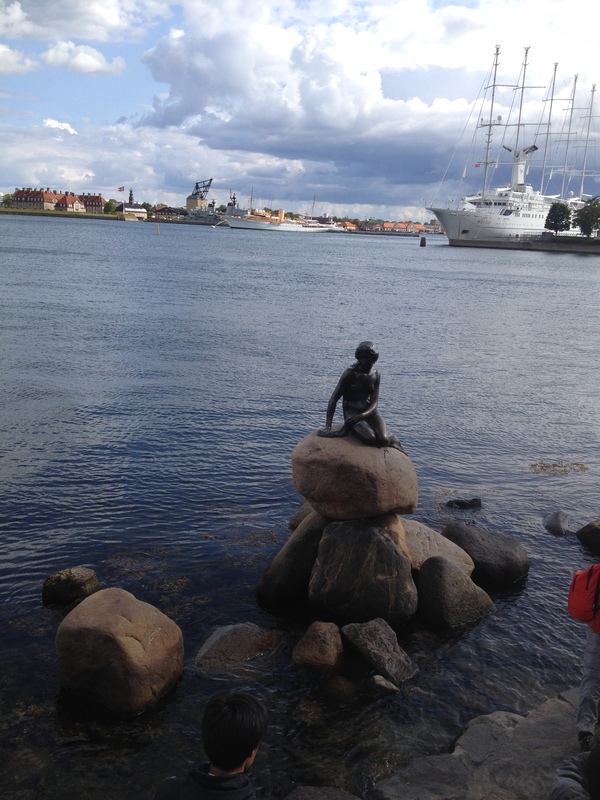 Over 100 years ago, The Little Mermaid was a gift to the City of Copenhagen. They say she swims every morning and evening to the surface from the bottom of the sea up to the rock to catch a glimpse of her beloved missing prince. That’s romance! 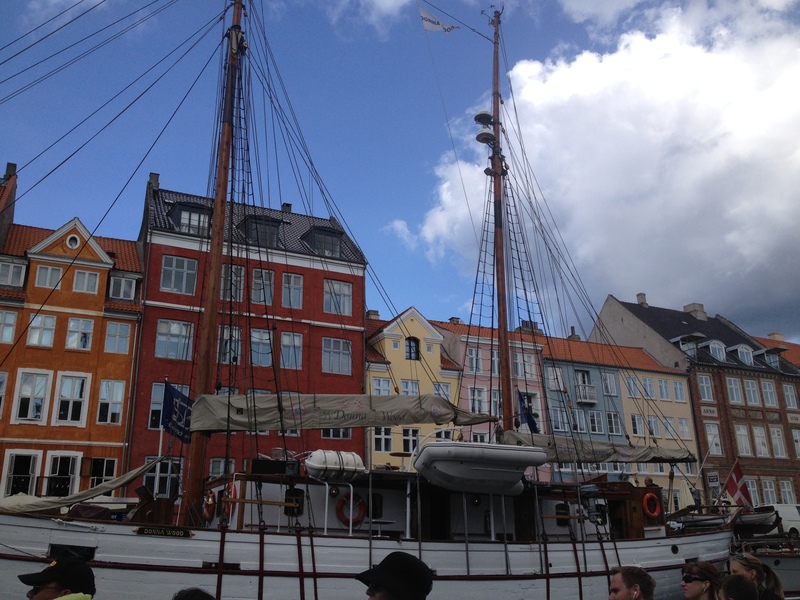 We also went on a boat trip to Nyhavn, which is this beautiful ancient harbor in the middle of the city. Look at all those bright colors and lovely details decorating the houses along the water. You might hear nightmare stories about travelling with your dog to Denmark. 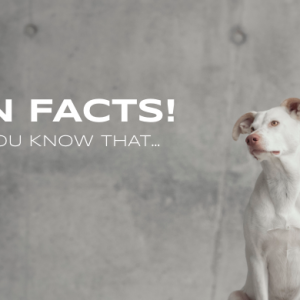 Rumors from you can never take your dog off-leash to I heard from owners that their dog has been shot just because they couldn’t show any papers. 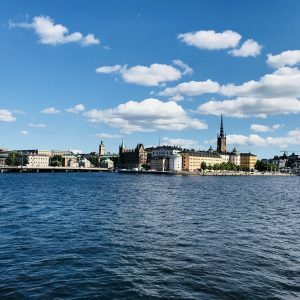 Don’t let yourself get distracted or turned down by these myths as there are concrete legal facts that one should follow in order to have a chilled vacation with a dog in Denmark. Yes, it’s true: According to the Danish Act on Dogs, the police is obligated to euthanize dogs, which savage a person or attack another dog. However, there have been recent amendments made in July 2014 to introduce a new, more specific definition of ‘savaging’ and therefore protect owners and dogs better than before. Should a dog (no matter which breed) attack a person, cause significant harm to others, or if there are other reasons to suspect that the dog is dangerous to the environment, the police may order a leash, muzzle or both, as well as an euthanization of the animal decide. Dogs of vacationers were in the past, anyway, never in the eyes of authorities, but now any doubt should be excluded. However, the holding and thus the importation and / or entrainment of thirteen breeds classified as particularly dangerous remain forbidden. Offenses are punished with a fine or a prison sentence of the dog owner, as well as with the euthanasia of the dog. The ban also applies to crossbreeds of the breeds in question. It is up to the owner of the dog to document the breed or the type. 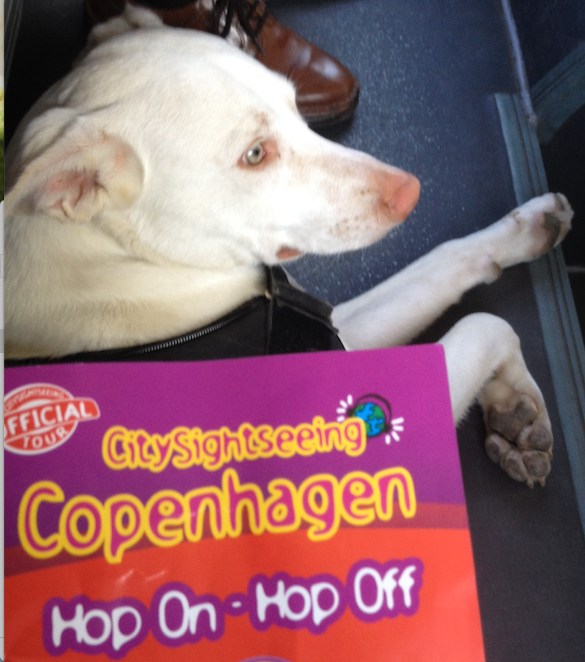 All other dogs are allowed in Denmark. 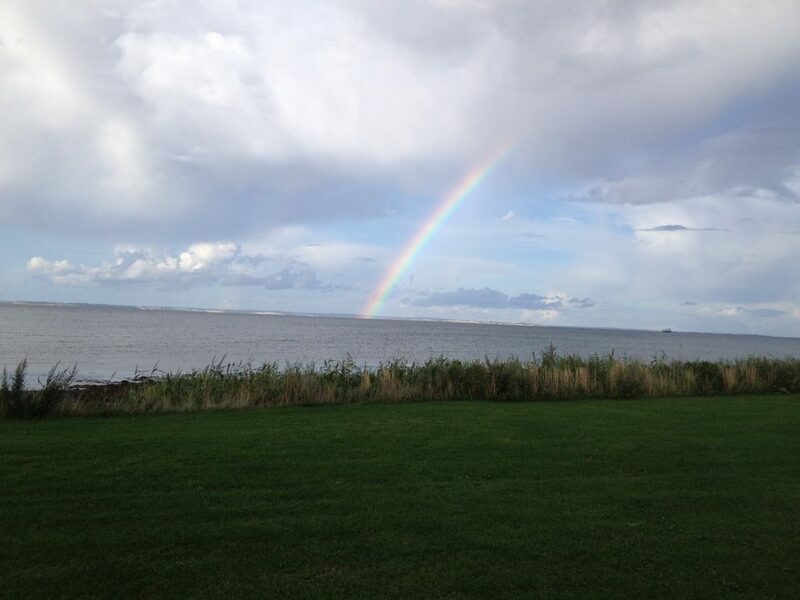 Fiete and I loved Denmark. 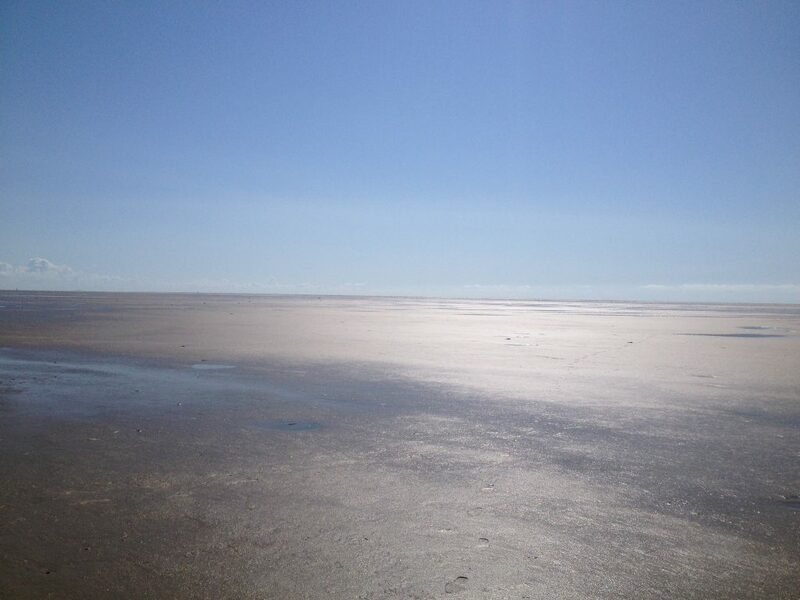 Beaches, mud flats, ferries, bridges, HotDogs and very friendly people. 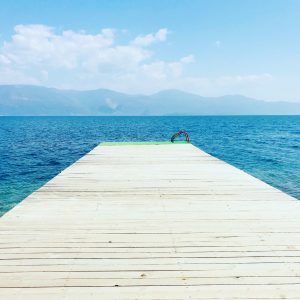 If you expect a lot of action from your vacation, this is not the place of first choice. But if you need to clear your head, feel free and enjoy the breeze, this is the perfect destination. Don’t worry too much about Danish Act on Dogs. 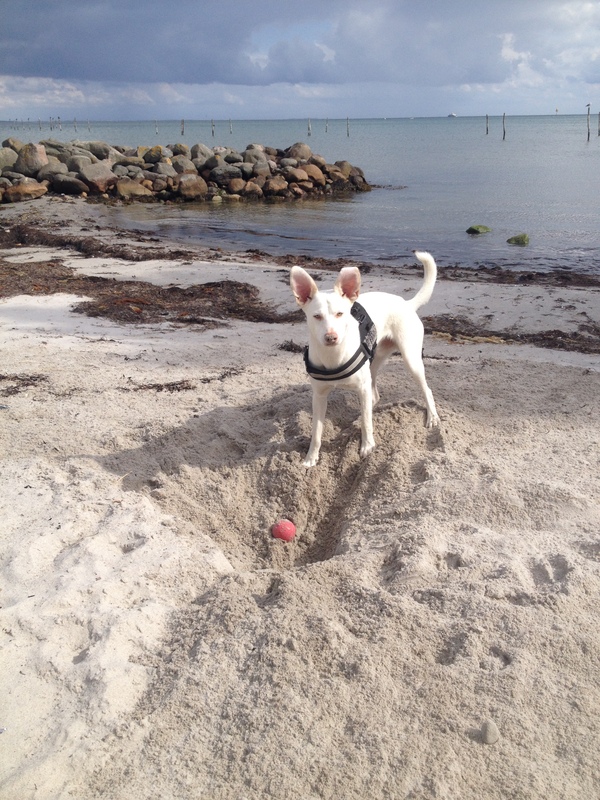 If you are 100 % sure not to have a breed from the list of 13, and you are able prove it, then you can enjoy a wonderful vacation in Denmark with your dog as everywhere else. 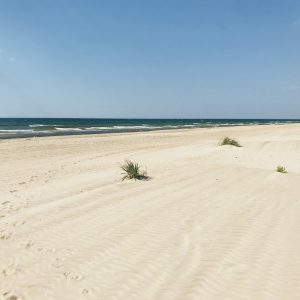 However, you should be aware that dogs can only be off-leash at beaches from November through March – just as in other European countries, especially Germany.